Sometimes in our lives, we find ourselves in situations that really pushed us to the wall and boils up our anger. For example, someone splashed mud water on you while you are walking along the road , dressed in all white, or maybe when you kid made whole on a dress you intended wearing for an already fixed occasion, the is endless. All these can trigger up your anger to a certain extent. 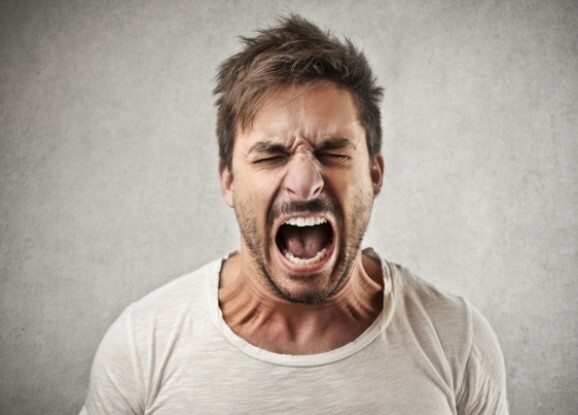 Despite all these situations, what if naturally you have an anger management problem? Then it is wise you seek for means on how to control your anger. Anger is indeed an emotion, sometimes it can have a positive effect, but you need to be careful about how, when and where to use it. Maybe frequently, you are been accused of having anger issues? Maybe you spend most hours of your day being furious and angry, with little or no reason? Then that could be a sign that you are having anger issues. Do not let allow such a feeling to way you down, learn how to deal with anger issues using the 5 tips listed below. I know this could be so strange, yet is simple and very effective in anger control. When you find yourself in a situation where your blood pressure starts to rise and you start fuming, just close your eyes and take a deep breath. Inhale and fill your lungs with air, then you exhale slowly. Carry out this activity a few times to give yourself some moment of deep thoughts, and prevent yourself from saying something you will later regret uttering. Breathing is a perfect way of keeping you calm and slow the pace of anger. Take your mind of the situation and try to focus on something else. If it is possible, move very far from whatever or whoever is triggering up your anger. If it is your spouse, and it seems like a big fight is about to erupt, then flee before the actual bout begins. But of you should take a timeout from the midst of the argument, go your separate ways for about 15 minutes or more where you can both gather you right thought and come back to your senses. If you are at your workplace and maybe your colleague says or does something that is really annoying, it is better you escape from their presence, chill and gather your right thoughts back together, instead of lashing back at him or her. Learn how to manage your anger. This tip can only come up after the breathing and time out period have elapsed. Once you have gotten yourself as much as possible, try to communicate and get your points across to the person that actually got you angry. Try as much as possible to keep it cool, do not yell or try to feel you are always right, remember you are only reaching out for a dialogue. Logically asserts what is going on and the reason why you got upset. If it is between you and your spouse or another person, try not to react to their anger and always keep it calm. Give your facts and refer to yourself alone by using "I" without pointing a finger to the other person. Example you can say "I feel very upset when you don't prepare my food early" or "I feel cheated when my opinion at work is overlooked". If you discover that it is the same thing that gets you angry over and over again, then it is better you look for a way to solve them. If you discover that your boss at work always get you angry, the try as much as possible to avoid communicating with him or her, preferably you can use an email. If your children are constantly causing a mess to your car, then you can limit the possibility of this happening by for example allowing no intake of foods inside the car. There are many anger-triggering situations you can actually seek solutions for. When anger is trying to weigh you down, just get up and move. You can dance, do push-ups, run, do yoga or just walk the anger off you. Whenever you feel you blood is boiling, just turn the energy into something positive by going out to get some exercise. Exercising will give you the opportunity to clear your head and releases endorphins, the "feel good" hormone. It is a win! win!! situation. Finally, following this coping skills of anger will assist you with the problem on how to deal with anger issues. Did i leave any of the skills out of my list? Feel free to add yours in the comment box below so that we can all learn from them. And also share this post to your various social media platforms.